BACK when I was in an overly-publicised position in the Executive of Government, I was convinced to ‘walk the talk’ and start planting things in the ground as proof that agriculture works. Not too far away from where I settled then is where Robert Kabushenga has made a well-publicised and genuinely admirable success of his Rugyeyo Farm. For some reason I cannot recall, I planted cashew nut seeds in a line, hoping to form an avenue of trees, and then forgot about them. They eventually grew into impressive giants and occasionally dropped some nuts that I presume are enjoyed in some form by the people and livestock in residence. Even though I have a daily habit of snacking on a pack of mixed nuts that include the cashews as honourable members, I honestly forgot about my trees until I was in Arusha for the East African Community Heads of State Summit some days ago. One morning at breakfast the conversation turned to Tanzania’s cashew nut problem. The evening before that, after checking into my hotel, I had walked to a nearby supermarket and bought up some packs of the stuff for personal consumption and was looking forward to my snacking weeks ahead. The crop in Tanzania has been a major source of agricultural revenue for years. Towards the end of last year, President John Pombe Magufuli issued strict instructions that none of the 200,000 tonnes of cashews from the season could be bought by private players. Only the army was allowed to buy and process cashews, then store them for export at the “right” price. Tanzania’s crop reportedly brings in about US$500million a year, making it possibly the top forex earner there. We talked through the issue and I learnt quite a bit then tightened my tie and hopped over to the East African Business Council offices, with my fellow Board Members, to officially launch the new location. The Chief Guest was the Rt. Hon. Al-Hajj Kirunda Kivejinja, accompanied by a suitably heavy team of Security and Trade Ministers and Permanent Secretaries. The most important person in the room, however, turned out to be a young man who had shaken our hands and moved to the back of the room quietly along with all the other unnamed persons holding cameras and file folders. See, the young fellow, Brian Mutembei, was Chief Executive of a little-known Kenyan firm called Indopower Solutions, and had just the day before signed a contract with the Tanzanian government committing to buy cashew nuts worth US$160,000! Forget about the value for a minute here. The issue that Nick was exclaiming about, and that hit me square in the middle of my forehead, was that this young fellow and his team of entrepreneurs had IDENTIFIED AN OPPORTUNITY where the rest of us were simply chewing nuts. Indeed, we surely had to be nuts! Even throughout the discussion about the cashew nut problem that morning the thought hadn’t occurred that I could put together a few people and offer to buy some of those nuts for sale in Uganda, taking advantage of our EAC status. And that was the crux of our presence in Arusha that week – how to ensure that phrases like “The EAC integration will be people-based and private-sector led” were turned into reality. There are thousands of other such opportunities staring us right in the face in this region but, sadly, we simply aren’t taking seeing them, let along taking advantage of them to create wealth from top (entrepreneurs and processors like Mutembei) to bottom (the farmers who grow the crops, for instance). Where are these opportunities? In the newspapers, on social media platforms, in government office notice boards and meetings, announced at public events though embedded within sometimes boring speeches….and so on and so forth. But we don’t see them. Instead, we tend to see the sensational, seemingly-exciting and honestly time-wasting flotsam that keeps the majority of us in a state of despair, despondency and doom about the future of this country, region and continent. We are the wrong type of nuts! the cassava chronicles – in this, the regional centre of excellence for cassava: UGANDA! A CHANCE meeting at the start of this week has re-focussed my attention onto agriculture as an economic activity and one day, a few years from now, I will share stories of my successes perhaps even in in one of those newspaper pullouts that inspire us weekly to till the earth. My chance encounter was with an old friend, Gerald Owachi, whose story shocked me on so many levels there is no way a newspaper article can do it justice. He will write a book about it all one day, since he is a journalist by training and a well studied one at that, having attended classes at Harvard and Tufts in the United States. After those classes, he joined various high end organisations doing public policy, conflict resolution and what not, earning money in foreign currencies, but one day dropped everything to do agriculture. Teaming up with two other friends – Harry Hakiza and J.J. Onen – they went into northern Uganda. The story is rather long and I have since moved on from the incredulity I felt when they shared their plans many years ago, so by Monday morning I was asking for a simple update only for Gerry to tell me they had 240 acres of cassava full grown! Cassava is one of my favourite foods right now, because my domestic arrangements have involved training people up to fry cassava sticks to a point that we are soon entering the dish into cooking competitions for local foods – another story coming soon somewhere near you. Every time I find there is a shortage of cassava in the markets near my home I marvel at how silly our agricultural marketing is – but that is nothing compared to Gerry’s experiences in the fields of cassava. With 240 acres, for instance, their cassava project is probably the biggest single one of that crop in Uganda but, for some reason, they are not one of the major suppliers of the National Agricultural Advisory Services (NAADS). They are one of the suppliers, but only got listed after a hilarious story that must go into Gerry’s book. It involved having their ‘project’ inspected by a superior, imperious NAADS fellow who had the bearing of a small god simply because he has the power to determine whether or not the results of the sweat and investment of people like Gerry, Harry, J.J. and their thousand-odd workers, should be placed onto a list of suppliers. See, there are these well-intentioned projects that governments around the world implement but in doing so they employ small-minded chaps who take their representation of the government to such heights that if they don’t like your attitude they can reject (or frustrate) your project into oblivion. So this big cassava project was off the supply list but they insisted their way onto it and eventually got allocated some bags – meaning they were assigned the privilege of supplying bags of cassava cuttings to the NAADS project. Off their 240 acres they were assigned 663 bags. Or, let’s say they were assigned 6,000 bags. Cuttings are just that – you get a cassava stem then cut it into segments of about 30 centimetres. I interrupted the conversation to call up my pal, the Executive Director of NAADS, and left him with that information to deal with – which he undoubtedly will. Anyway, what madness had possessed these three young men to plant so much cassava? Cassava has hundreds of uses besides being fried, salted and put on a side plate next to my cup of tea. Uganda Breweries uses cassava as a local raw material in brewing beer; CIPLA, the multinational pharmaceutical firm, is buying up 51% of Quality Chemicals and one of the major ingredients in pharmaceuticals is…cassava; it is used in making glues and one hundred other things industries rely on. Go and ask the Food and Agricultural Organisation (FAO) of the United Nations for more. Another website declares that six years ago Uganda was the sixth largest producer of cassava in Africa, and the crop is our second most important after bananas. It would be – it basically grows anywhere under even arid conditions. Which is why the three chaps’ project was so important – because on their 240 acres they focussed on one, consistent breed or strain of cassava, rather than the very many funny ones in existence elsewhere. As they were starting up, they tried to get the right cuttings and couldn’t find any that were consistent for a while. They went to the National Crops Resources Research Institute at Namulonge and eventually set up a partnership that ensured they had a sensible strain of cassava. 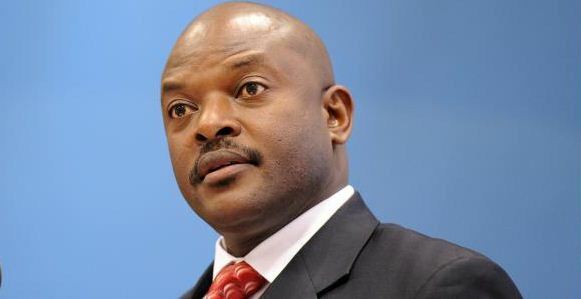 No – crisis meetings have not been called, even if Ugandan Brown Streak disease is ranked among the top seven biological threats to global food security. All in all, their book will be an interesting read – wait for the section on ACF – the Agricultural Credit Facility under Bank of Uganda, an abbreviation few of us can recognise as quickly as TDA today, yet it’s been there since 2009. Under the ACF you and I can get up to Ushs2.1billion (or even Ushs5billion if the project is good enough), at 10% per annum. They got one of far less than that, and because of bureaucracy found themselves paying a commercial bank loan at a much higher interest rate a couple of months into planting and…they are now in court minus the tractor they purchased with the loan, and the 80% they had paid for it in cash. 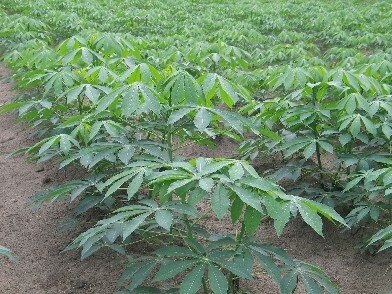 But they have their 240 acres of cassava sitting intact, for now, and they’re aiming at 3,500 planted by 2017. As a resident of the Cassava Centre of Excellence, how many patches of your own cassava will you have by then?